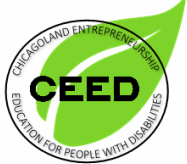 Excited to pair up with the incomparable Emily Ladau of ​Words I Wheel By to bring you the fifth installment of the Original Disability Holiday Gift Guide, featuring businesses by entrepreneurs with disabilities! ​Words I Wheel By to bring you the fourth installment of the Original Disability Holiday Gift Guide, featuring businesses by entrepreneurs with disabilities! 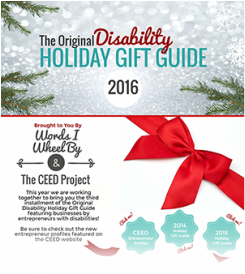 We worked together with Words I Wheel By to bring you the third installment of the Original Disability Holiday Gift Guide, featuring businesses by entrepreneurs with disabilities!